Nisem se mogel upreti, da bi še jaz objavil spektakularno razkritje, ki me niti ne preseneča. 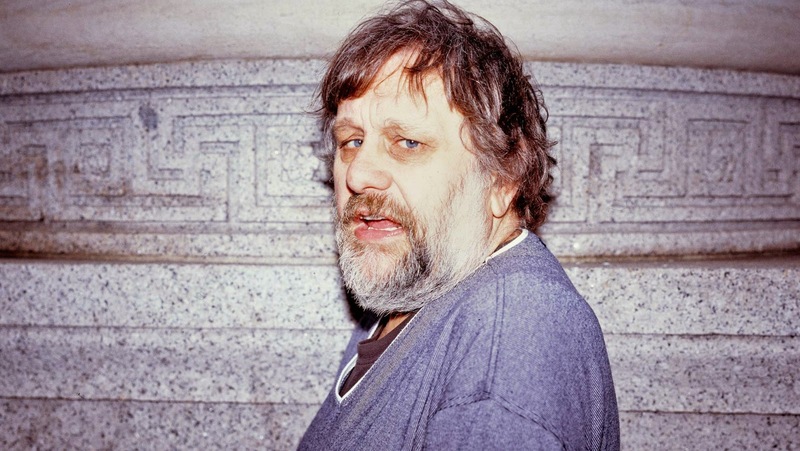 Slavoj Žižek, je naredil plagiat prispevka Stanleya Hornbecka v reviji American Renaissance. Nekega blogerja je zmotila konsistentnost in lucidnost Žižkovega pisanja, ki je po navadi nekonsistentno in z napisanim stavkom zanika prejšnjega. Tako mu je uspelo odkriti, da je Žižkovo delo popolni plagiat iz ultra nacistično-rasistične revije. Zanimiv izlet priznanega marksista. Potrjuje tezo, da med kolektivističnimi idejami (nacionalnega) socializma, socializma in komunizma ni bistvenih razlik. The main academic proponent of this new barbarism is Kevin MacDonald, who, inThe Culture of Critique, argues that certain twentieth-century intellectual movements led by Jews have changed European societies in fundamental ways and destroyed the confidence of Western man; these movements were designed, consciously or unconsciously, to advance Jewish interests even though they were presented to non-Jews as universalistic and even utopian. One of the most consistent ways in which Jews have advanced their interests has been to promote pluralism and diversity—but only for others. Ever since the nineteenth century, they have led movements that tried to discredit the traditional foundations of gentile society: patriotism, racial loyalty, the Christian basis for morality, social homogeneity, and sexual restraint. Prof. MacDonald claims that one of the most consistent ways in which Jews have advanced their interests has been to promote pluralism and diversity – but only for others. Ever since the 19th century, they have led movements that tried to discredit the traditional foundations of gentile society: patriotism, racial loyalty, the Christian basis for morality, social homogeneity, and sexual restraint. MacDonald devotes many pages to The Authoritarian Personality (1950), a collective project coordinated by Adorno, the purpose of which was, for MacDonald, to make every group affiliation sound as if it were a sign of mental disorder; everything, from patriotism to religion to family—and race—loyalty, is disqualified as a sign of a dangerous and defective ‘authoritarian personality’. Because drawing distinctions between different groups is illegitimate, all group loyalties—even close family ties—are ‘prejudice’. Prof. MacDonald devotes many pages to an analysis of The Authoritarian Personality, which was written by Adorno and appeared in 1950. [. . .] The book’s purpose is to make every group affiliation sound as if it were a sign of mental disorder. Everything from patriotism to religion to family – and race – loyalty are signs of a dangerous and defective ‘authoritarian personality’. Because drawing distinctions between different groups is illegitimate, all group loyalties – even close family ties! – are ‘prejudice’. However, it is precisely the kind of group loyalty, respect for tradition, and consciousness of differences central to Jewish identity that, according to MacDonald, Horkheimer and Adorno described as mental illness in gentiles. These writers adopted what eventually became a favorite Soviet tactic against dissidents: anyone whose political views were different from theirs was insane. But according to Prof. MacDonald it is precisely the kind of group loyalty, respect for tradition, and consciousness of differences central to Jewish identity that Horkheimer and Adorno described as mental illness in gentiles. These writers adopted what eventually became a favorite Soviet tactic against dissidents: Anyone whose political views were different from theirs was insane.